As the Nissan Paladin. Mostly for the Asian market. The previous version called Paladin, was indeed, the same truck as out Nissan X-terra. 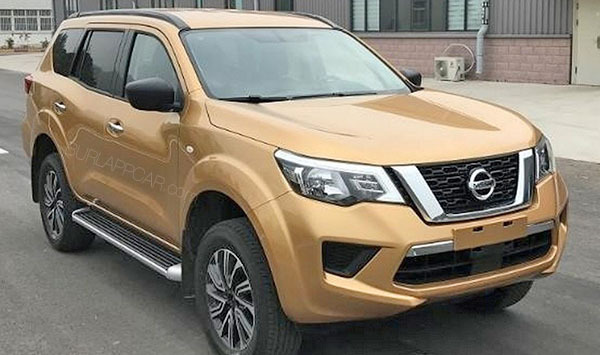 But this looks too much like a slightly smaller Pathfinder to be an X-terra in the US. Who knows. It seems like everyone is just dumping every single SUV modes they have in the US market. What do you think? Would this be a good "new" X-terra??? This looks much larger than the old X-terra and only slightly smaller than the current Pathfinder. Do we know if this vehicle is only going to be 5 pass/2 row? If yes then I can see this coming to the U.S. and slotting directly under the Pathfinder in the lineup with the next Pathfinder growing slightly larger and remaining 3-row. Would it carry the X-terra name here... why not? From what I have seen before, it looks like they are planning both versions. 2 and 3 rows. Looks attractive whatever it is named! If it has 0-60 in the 6 range, AWD and under $60K, I will be interested!